A parent's guide to helping children with autism maximize their potential. Over a decade ago, an autism diagnosis had confined Lori Ashley Taylor's daughter Hannah to an inaccessible world. Lori became a tireless researcher, worker, and advocate, and her dedication showed results. There can be progression and shifting on the spectrum, and Hannah has done just that—she has emerged. Part narrative and part practical guide, Dragonfly provides anecdotal and practical guidance for parents of children with autism spectrum disorder. The author discusses intervention strategies, therapies such as Applied Behavioral Analysis (ABA), and different medical tests. She explains Autism terminology like hyperresponsivesness and stimming. A classroom teacher herself, she recommends educational accommodations and supports. Busy parents can find practical tips on everything from making friends to Sensory Processing Disorder in helpful sidebars in the text. Taylor's personal experience is supplemented by wisdom from a series of round table discussions featuring other parents of children with autism. In the summer of 2013, eight-year-old Hannah wrote "Life of a Dragonfly," a poem with repeated parallel stanzas that used the stages of a dragonfly's life as a mirror for her own physical and cognitive development. Among its wisdom was: "Hope rises, and I begin to reveal my concealed wings. I begin to understand language and what I am meant to do." Taylor has helped her daughter find her wings; in Dragonfly, she gives other parents the tools to do the same. A special needs mom and autism advocate, Lori Ashley Taylor is founder and publisher of Emerging from Autism, co-founder and director of Hendricks County Autism Support Group, a professional speaker, and a member of Avon School Corporation's Autism Team. Taylor's 24-year career as a classroom teacher includes licensing in special needs, a specialization she brings to the classroom, to leadership and advocacy roles in the community, and to her writing. Taylor and her two children live in a suburb of Indianapolis, Indiana. 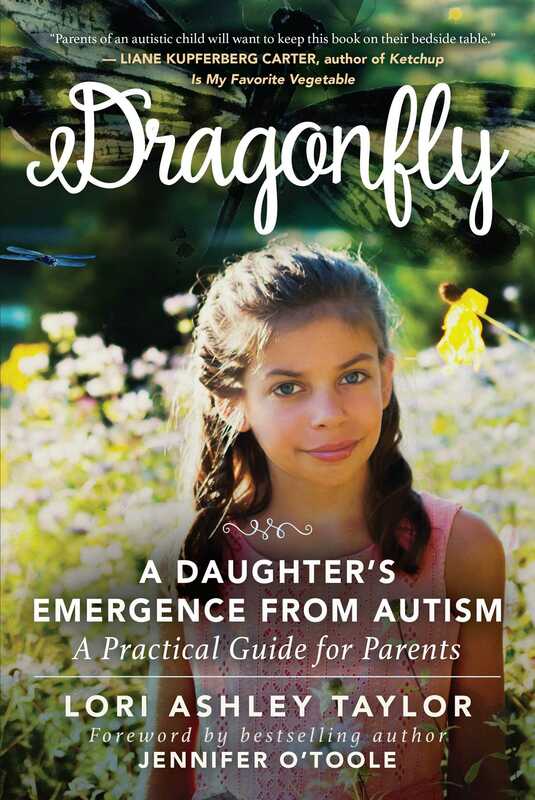 "'Never underestimate the power of a parent fighting to save her child,'” author Lori Ashley Taylor says in Dragonfly, her reassuring and practical guide to helping children with autism maximize their potential. A veteran classroom teacher and autism parent, she deftly weaves personal narrative with practical guidance to synthesize a wealth of invaluable resources, checklists, case histories, educational supports and accommodations. Moving and instructive, this is a book that parents of an autistic child will want to keep on their bedside table." "This book stands out in its honesty, depth of feeling, and insight into raising a child on the autistic spectrum. It also stands out in Ms. Taylor's practical suggestions for meeting educational, social, and family goals. It is worth reading by parents and by persons interested in autism and its impacts." "I wish this book had been available 25 years ago when my son was born. I have read many books, each one has their own unique purpose and message about autism. Many of my favorite books are mentioned as reference. However, this book I could not put down. I even took notes to use when my son Conner and I speak to newly diagnosed families. I will recommend this book to every family that has joined us in the newly diagnosed journey." "I am so impressed about how honest, open, frank, and straightforward Lori Ashley Taylor is in this book. And, in that way, the message is comforting to others. I completely appreciate Lori telling parents to give themselves a break if they didn’t notice signs and symptoms right away, how to help siblings (younger or older) cope, and the other advice and guidance she provides. I highly recommend Dragonfly."